These jumbo, great tasting, freshly roasted, extra fancy cashews are some of the very finest in the world. We roast them carefully to make sure they are extra crunchy, then lightly salt them to bring out that real, honest-to-goodness flavor. Cashews are a great source of magnesium, selenium, zinc and iron. Each box contains five-ounces. 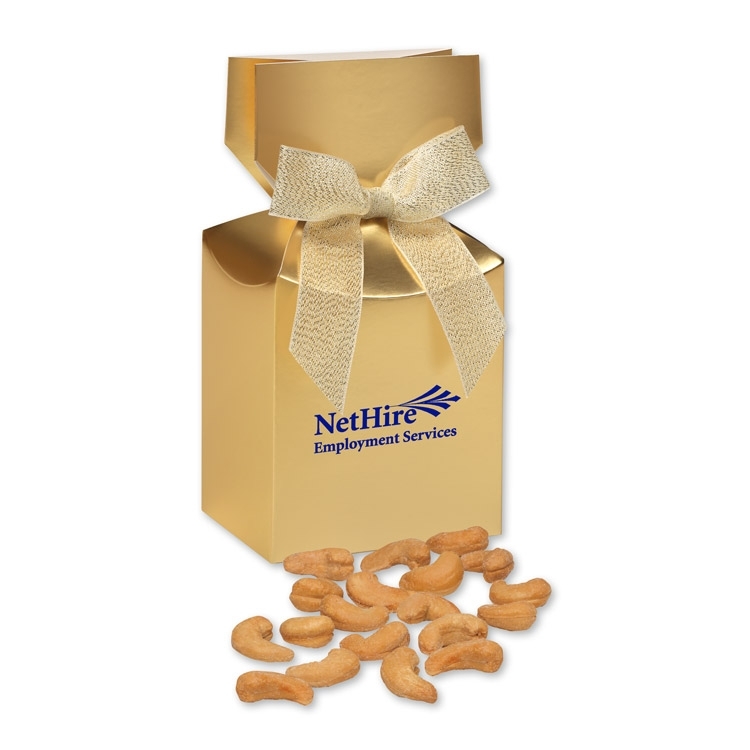 Gold gift boxes are foil-stamped in your choice of black, silver, blue, green, red, or white and complete with a neutral metallic bow.